Today I want to feature a fellow stepmommy who, from what I read on her blog, rocks the house as a stepmomma! So happy she is out there spreading the good word about how she approaches her role in her kids’ lives! I know I am not the first and definitely won’t be the last parent to have trouble connecting with a pre-teen daughter. A little girl who I used to have such a GREAT relationship with slowly morphing into an awkward stranger before my very eyes. I know I must have done the same at her age but I simply don’t recall. Don’t get me wrong, I understand it must be extremely difficult battling the hormones and the feelings, the urge to cry for no reason. After all, I am a girl too, I have a clue. But how to continue a connection, how to keep the lines of communication open, how to ensure she keeps looking to me as someone she can confide in as the stakes rise in the middle school atmosphere? Especially when you consider that the two households this child lives in are so different from each other. And let’s not forget… I’m the stepmom. That holds it’s own special kind of challenge in every situation… So what do I do? 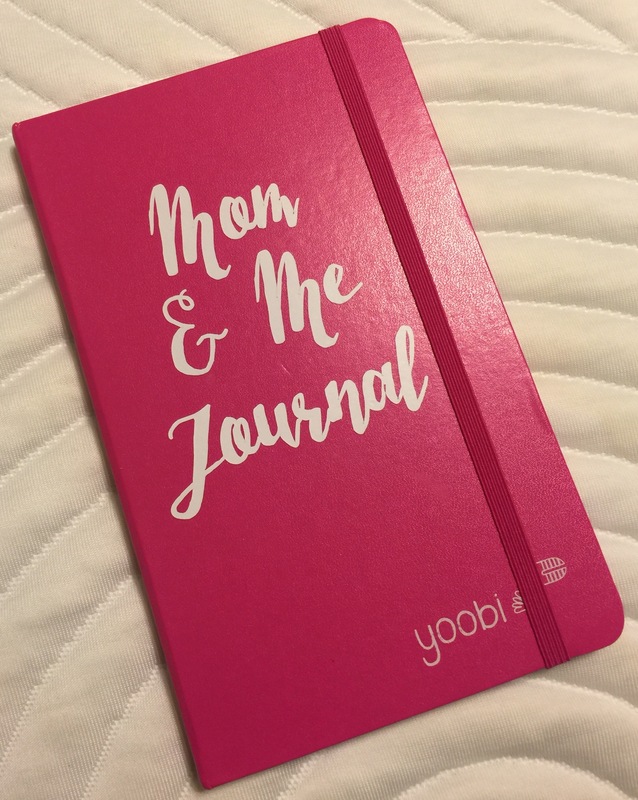 In my typical problem-solving fashion, I look to the internet to solve my problems and I stumbled upon Mama Jenn’s blog and her “Mama & Me Journal” Brilliant! So I bought a notebook with a cute rubber band closure, cut out words in vinyl for the front on my Cricut, and wrote my first journal entry to Kylie. I explained that this was a safe place for us to communicate. She could tell me about her day, ask questions, she could say anything she wanted; it would be just for the two of us! We are only a few letters in but it seems good so far. Nothing too deep has been uncovered but I think we are definitely on to something… I ask a question at the close of each of my notes, asking about school, friends, boys. Trying to make sure she always has somewhere to turn if something pops up in life. What have you done to keep the connection with your children and stepchildren as they grow older? I am defintiely learning as I go here but I will take any tips I can get! Doesn’t someone always miss out though? The whole concept is splitting a child’s time in two, between two houses, with two families, someone is always bound to miss out on something, right? The “firsts” in life can’t be scheduled… Like losing a tooth, for example. In her whole life she has never lost one at our house. Things like that are not the same as every other year’s Easter schedule. I have always been so envious of those with amazing blended families who share holidays and can all sit around one table for Thanksgiving… We have unfortunately never had that! I hope for my dear K’s sake that we could get close to that someday but it doesn’t even seem like it’s in the realm of possibility as I write this today. Try as we may it’s just not our situation… Luckily, we at least have gotten to the point where bio mom shares a texted photo on some of these occasions and that itself is leaps and bounds further than where we were eight years ago in the relationship. After mediation, custody court and countless hours of asking nicely and negotiating directly for more time with her, we have never quite been able to get further than our current situation (two evening visits during the week and every other weekend). So… This is our reality. We have learned to be grateful for the pictures and ask for all the play by play from K on our next visit. No matter how much we may miss out on, we try to focus on what we do have and make the most of that. 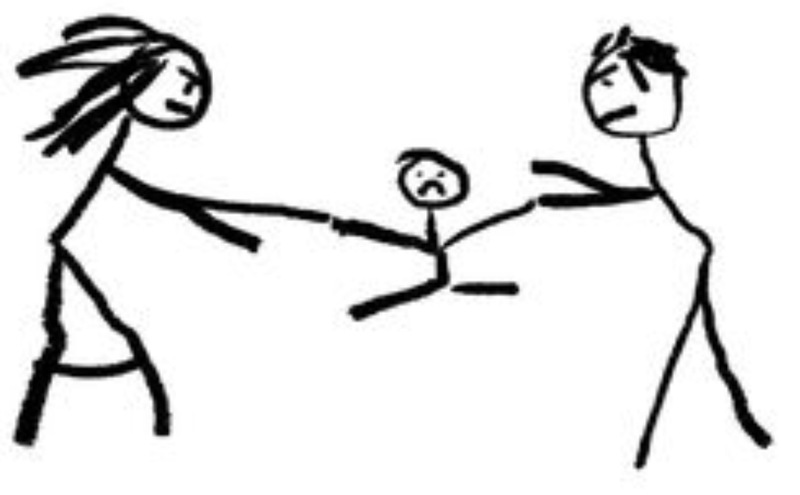 What do you miss out on in your split custody arrangement? Did I picture my wedded bliss beginning as a parent when I was so young myself? No way! But here I was, he was my person and in a million years I wouldn’t have it any other way, this was my journey. 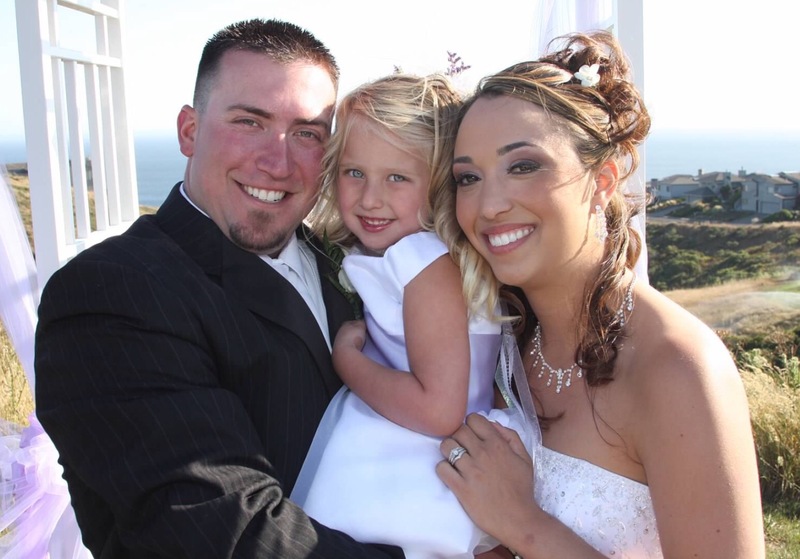 From the beginning and as soon as we were married, I took the approach that I was going to do for little Kylie as I would do for my own kids. I never wanted her to look back on her life and see that I treated her differently than the other kids that I knew I would someday have. Not really sure where this came from other than looking at the relationships other people I knew had with their step-parents. I didn’t come from a broken home, I had no idea what that was, but in what I had been exposed to and with the help of Lady Tremaine in Cinderella, at the very least, I knew what I didn’t want to be as a stepmom. Now let’s stop for a reality check here — This is NOT a popular approach to step-parenting. Bio mom, her family and friends were NOT my biggest fans. She felt I overstepped and who knows what else but this was the only way I could approach being a step-mom. I was an all-in 110% person… And I intended to be that in my role of stepmom. I never tried to take her mother’s place but I knew amongst everything else going on in life that one day when I had my own kids that I was going to be a cheerleading coach, a PTA mom, room mom and team mom. I am a volunteer by nature, that was the person I was, and if I knew I would be those things to my future kids, I needed to be them for Kylie too; whether everyone around us liked it or not. If as an adult, Kylie knew that I had treated her as I did my own, that to me was the definition of a successful step-parent and that is what I set out to do. So, I did… I was her cheerleading coach for five years, served on the PTA for two years and was room mom one year. Again – this definitely did not win me any popularity contests. It didn’t seem that many thought “oh great look how involved Kylie’s stepmom is in her life”. I had my fair share of dirty looks and rude people who were on bio mom’s “side” of the equation. With a hubby who worked construction with an extremely un-predictable schedule, I experienced more than my share of awkward situations (especially if hubby was working and late or couldn’t be there). I refused to take the easy road and just excuse myself. I showed up to every dance recital, parent teacher conference and talent show even when it was going to be awkward and difficult. I often told myself I would go especially because it would be difficult, I told myself that was the best possible example I could set for Kylie – Do what you think is right, even when you are going to be criticized for it. Everything I did was with the end result in mind, a family dynamic where all of my children have me as a present parent every step of the way. These years as a stepmom have been filled with joy, tears, drama, and so much more. I have learned so much about parenting and about myself and I have such a huge appreciation for the relationship that Kylie and I have built without having the immediate bond that I experienced in birthing my biological children. We have had to create this love, this bond and I am happy to say we have it. Is our family dynamic perfect? Not a chance! Have I been without any weak moments or questionable decisions? No way! We still have bumps along the way and step-parenting a preteen girl is not easy but I expect being a biological parent to a preteen girl isn’t a walk in the park either? I’m not there yet as a bio mom but from what I hear, the waters are rough when the hormones start regardless of the bloodline… As a mommy of three girls, I guess I just need to get used to that part! How do you approach your role as a step-parent?